It’s getting close to needing to get #TheBug a new bike, and she doesn’t want another standard, heavy, crappy MTB that nearly all manufacturers shove in our faces (okay, that last part is me). She’s been interested in getting a CX bike—so obviously, there aren’t many choices for a 8 y/o in that area. Fortunately, Islabikes exists, aiming to fill the need that clearly exists. Islabikes launched two new kids bikes for those starting out—a 14″ and a 20″ model. If you’ve ever worked in a shop and had the conversation with parents re: their kid being *almost* big enough for the ____ model, but way too big for the ____ model, you’ll appreciate the nuanced sizing Isla provides. Recently, Islabikes developed a Pro Series of cyclocross and mountain bikes which are essentially small versions of adult race bikes. Due to insight gained into this development, they’ve enhanced the specs of their standard range as well. The Creig (MTB) and Luath (CX and some other stuff, but mostly CX) both received some updates. Check out Islabikes website for all the details. 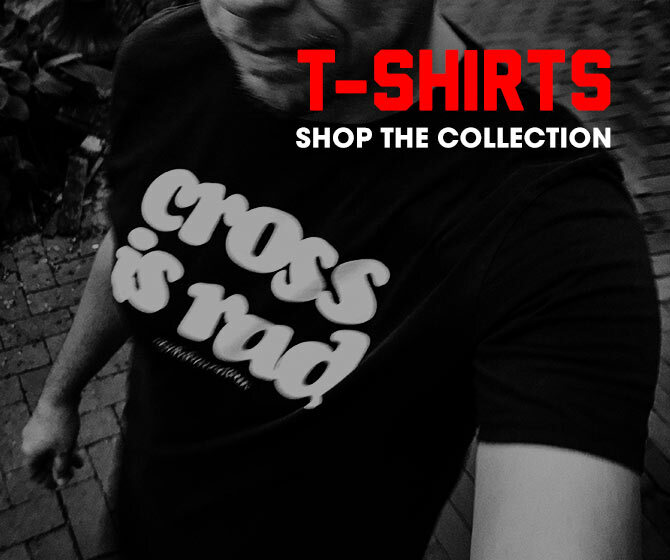 Not Part of the Release but Awesome Nevertheless, Because Kid Cross!! This may be because I have a daughter looking for something like this, but I’m geeking off the Luath 24 Pro Series pictured below. 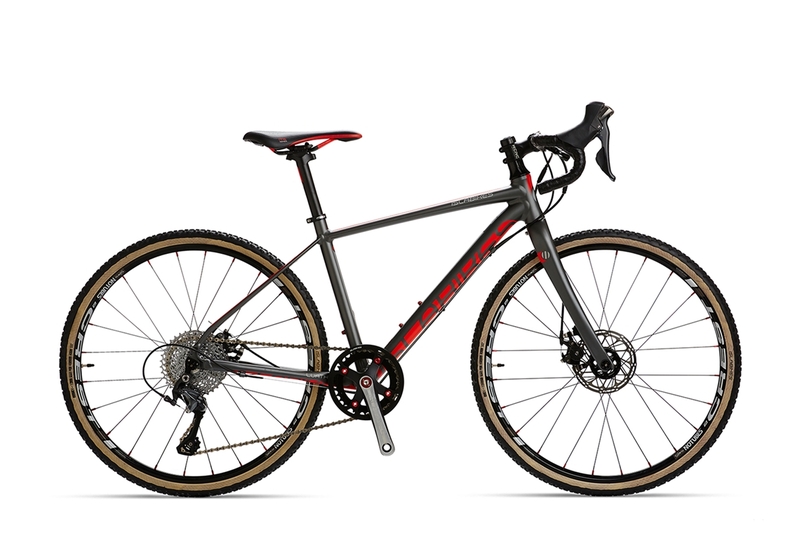 Aluminum frame, carbon fork, and a Shimano Ultegra drivetrain are all calling my name. Also, those Islabikes gumwall tires are sickkk. Portland, OR – Leading children’s bicycle brand, Islabikes, introduces new models, Cnoc 14 Small and Cnoc 20 as well as a host of updates that include new colors, graphics and Islabikes’ own custom designed tires. Whether learning to ride a bike or competing in a children’s cross race, Islabikes are made with the young biker in mind. The first of two new models includes the Cnoc 14 Small which is specifically designed for the tyke who’s confident enough to start riding but isn’t quite big enough for the Cnoc 14 large. The Cnoc 20 on the other hand, is targeted at riders around the age of 5 who are physically taller than average but benefit from not having the added complication of gears. The development of the Pro Series led to enhanced specs among all models of the standard range, with the Creig and Luath receiving noteworthy updates. The Creig now comes with a new narrow/wide aluminum chain ring paired to Islabikes’ low Q Factor chainring. This works in conjunction with SRAM’s GX 10 speed rear derailleur, providing reliable, simple shifting. The Luath, like the Creig, now goes 1 x 10, offering a lightweight feel as well as 11-36 cassettes to maintain an excellent range of gears. The Luath 24 and 26 have also been upgraded with smaller diameter handlebars, designed to improve grip and provide shorter reach to the brake levers. Islabikes have retained fender compatibility on the Luath by developing a new stealth fender mount in the rear of the seat tube, which is not only easier to fit, but also looks cleaner. Islabikes also renovated their frames across the board such as the new low Q Factor chainring, first unveiled on the Pro Series. The new lower bottom bracket heights are superior to already low stand over heights, making pedaling more comfortable and efficient for the child. In addition to their detailed construction, Islabikes now feature their own newly developed tire featured in the Rothan, Cnoc and Beinn models. Designed with the same multi purpose tread pattern seen in the Pro Series, these upgraded tires are designed to grip well on grass and light tracks but also offer low rolling resistance to aid smaller riders. Each tire is sized proportionally to the dimension of the bike and has 72tpi casing, which delivers a more comfortable ride. Reflective sidewalls provide additional safety and remove the need for spoke reflectors, while puncture protection keeps children rolling trouble free. Dave Bowater says: “We are constantly developing our bikes. Following on from the addition of the Pro Series earlier in the year we are now extremely excited to be further adding to our range with the Cnoc 14 Small and the Cnoc 20. This means we can offer further sizing options to be sure the next generation is on the right bike at the right time”. All Islabikes benefit from a holistic design process. From the frame through to the custom designed Islabikes components, every detail is optimized to work together and deliver the best child specific product. Islabike models cater to all disciplines and abilities, whether learning to ride on a balance bike, riding to school with friends, an outing with the family or competing on the Pro Series in junior triathlons, mountain biking or cyclocross.